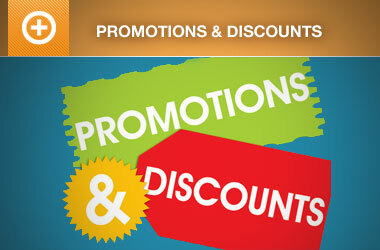 It’s a great day to be an event promoter! 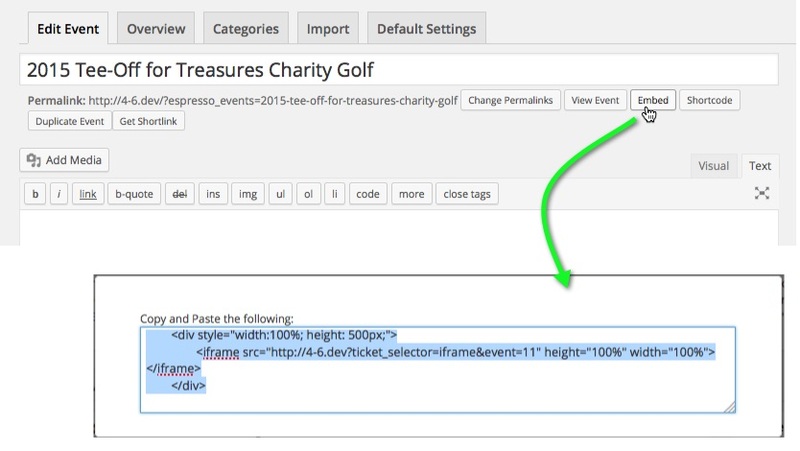 We are pleased to announce a that we have added a “Ticket Selector Embed Code” feature to Event Espresso 4. This is just one, of many features that was requested and added to Event Espresso 4, based on a feature request from an Event Smart (our hosted event registration and ticketing system) customer. What is the Ticket Selector Embed Code? Ever wanted to make it easy for registrants to find your events? 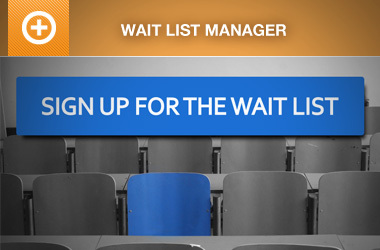 What about allowing prospective registrants to select tickets right from a third-party website? 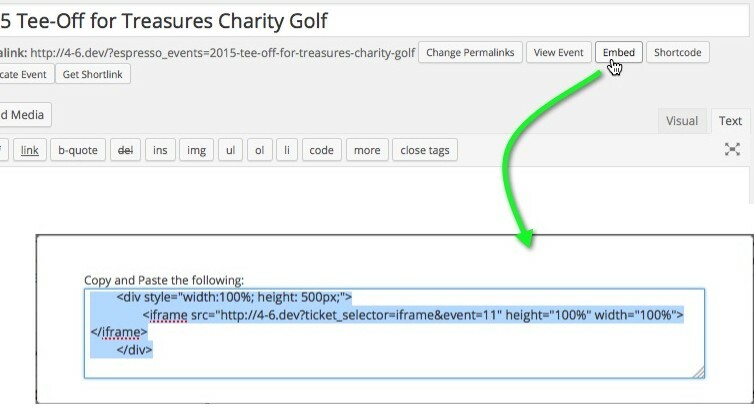 Well, the new “Ticket Selector Embed Code” feature for Event Espresso 4 allows anyone with the embed code for your event, to display a ticket selector for that event, on almost any HTML website, Facebook page, WordPress.com and/or WordPress.org posts and pages. How do I use the Ticket Selector Embed Code? It’s very simple, really. 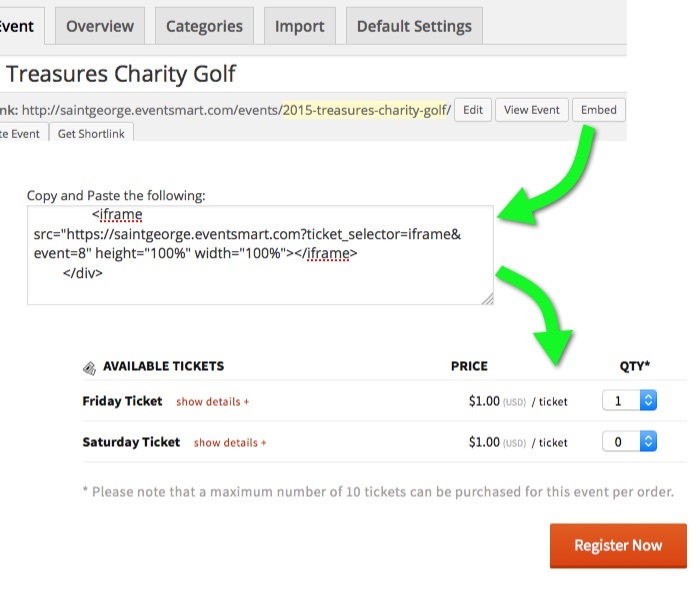 All you have to do is copy the embed code and place it into an HTML page, blog post, or page on any website and the ticket selector for your event will display in an iframe. When a ticket is selected an the registrant submits the form, they are then taken to your website to finish the registration. Easy, right? Finally, this screenshot shows the embed code placed directly into a WordPress blog post, but actually, as stated previously, the embed code can literally be added to almost any web page on the internet! What are your thought about this new feature? Are you as excited about this feature as we are? How will you use the new ticket selector embed code? Please share your examples and feedback in the comments below. 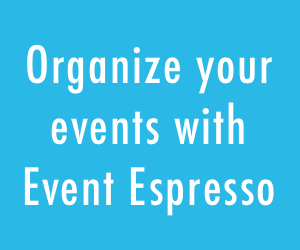 Need to Buy an Event Espresso 4 Support License? Thank you! For a variety of reasons, we have gone for a separate WP site for the ticket aspect and this means we can still have the ticket form on the main site. If I do not change the URL, the tab shows no content. If I change the URL to https, no content. All other steps I have walked through several times following each step exactly, but the ticket selector never shows up in the static html tab in Facebook. Wish I could get it to work. Thanks for bringing this to my attention. It looks like Facebook requires a secure connection to the server outputting the embed code. You will need to have a secure server certificate (SSL) installed on your server for this work. I will add a note to the documentation about this Facebook requirement. I felt there was great value in the Facebook functionality. I bought, installed, and implemented the SSL certificate—in under two hours—and the embed works perfectly! This is a very good improvement. Is there anything available for Facebook groups? Not that I am aware of. I’ll look into this. It seems like i don’t see the tickets ? Never mind, i picked an event that was already pasted..
Maybe, you should change the iframe code when the event is no longer active.. Using the iframe… is there anyway to only show tickets that are currently active? In other words not show those that are yet to go on sale?